Item # 307302 Stash Points: 1,999 (?) This is the number of points you get in The Zumiez Stash for purchasing this item. Stash points are redeemable for exclusive rewards only available to Zumiez Stash members. To redeem your points check out the rewards catalog on thestash.zumiez.com. Layer up in a cute and cozy style with the Danny Blue Hooded Sweater from Almost Famous. 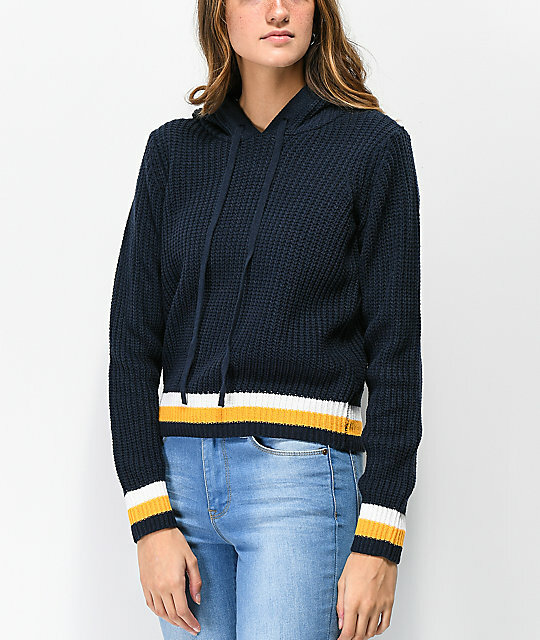 This ribbed knit design comes in a navy blue colorway with yellow and white ribbed knit stripes at the wrists and bottom hem. A hood is added with an adjustable drawstring, for a simple sweater design that will have you warm and stylish for seasons to come. Danny Blue Hooded Sweater from Almost Famous. 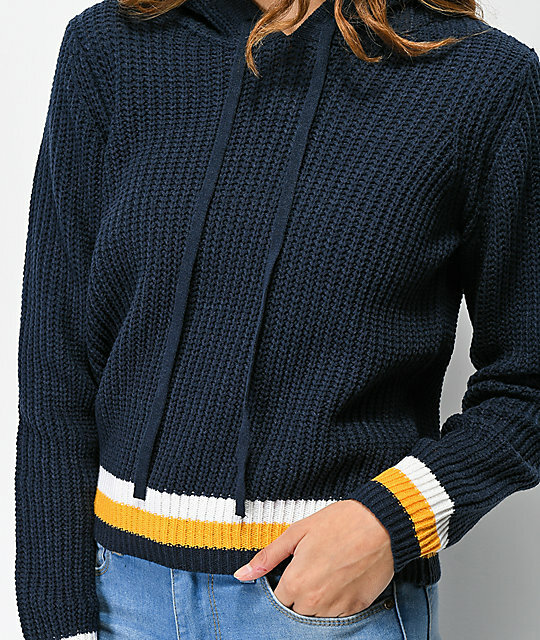 Navy blue ribbed knit design. Yellow & white stripe detail at wrists and bottom hem. 21.5" (55cm) from top shoulder seam to bottom hem.